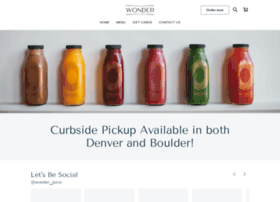 We are a 100% organic, cold-pressed juice and nut milk shop located in Boulder, Colorado. Our juice is never pasteurized, never pressure-processed (HPP) and served in a glass bottle. Each bottle consists of several pounds of produce and is packed with live enzymes, vitamins, minerals and other important nutrients.